This was the most wonderful part of the familiarisation trip to Resorts World Manila. 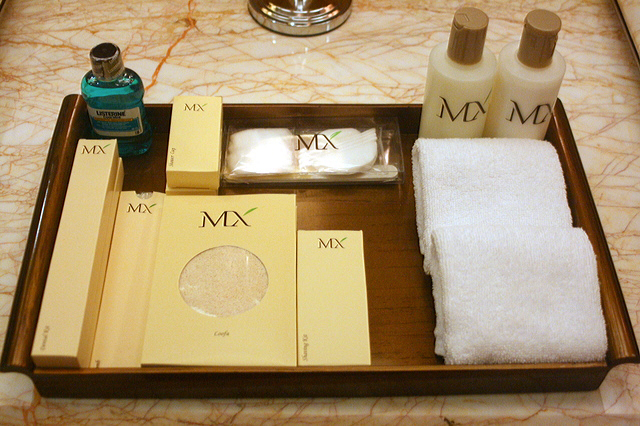 Getting to stay at the luxurious all-suite Maxims Hotel. We stayed on the Tower side, facing the villas across the pool. I love the bright red hues that greet you in the wide hallway. It's reds and golds, actually. Colours of opulence. 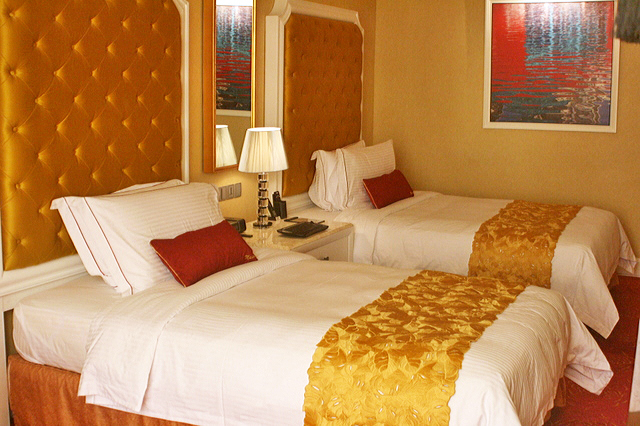 The beds and pillows are so nice to sink into, and the linens feel wonderful. 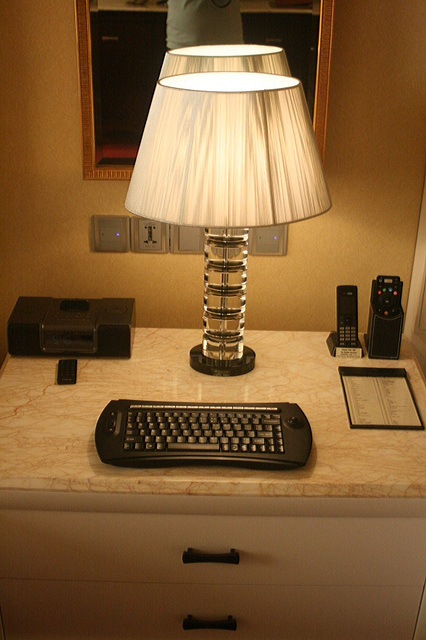 The suite comes with an iPhone/iPod charging dock/music player, and a wireless keyboard for surfing on the 42-inch HD LCD TV. You even get free on-demand movies, in addition to the usual cable channels! Of course, here you get your 24/7 butler service too, summonable via an electronic touchpad (not shown here) that we saw in the earlier post. 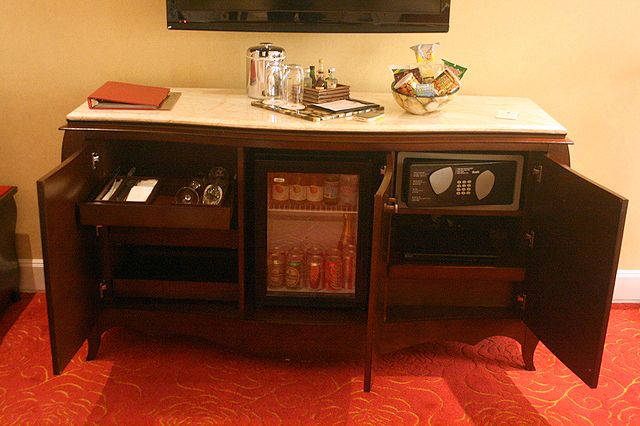 Mini-bar area with fridge, stemware, cutlery, safe and DVD player all hidden neatly inside the sideboard counter. 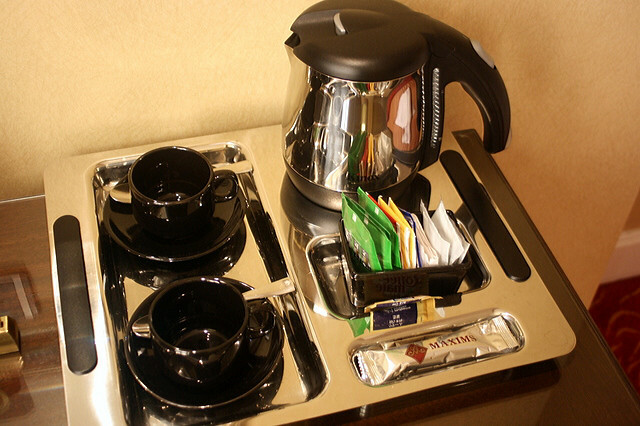 I like the sleek black and metal tea and coffee making ensemble. The water boiling pot has its electric base built right in, so it's really neat. Welcome fruit platter with tropical vibe! 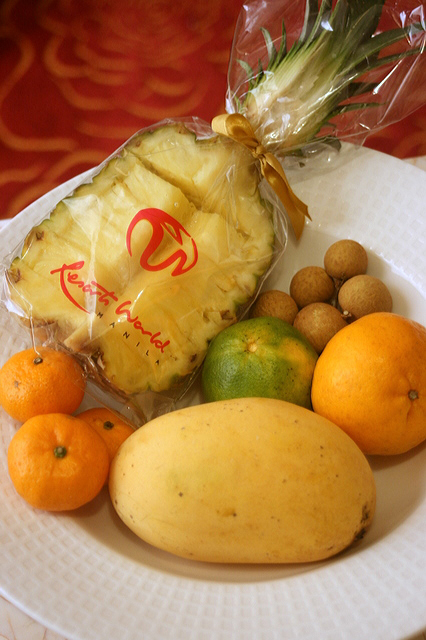 An entire half pineapple (pre-sliced and wrapped), a whole mango that's so fragrant and various mandarin oranges and longans. 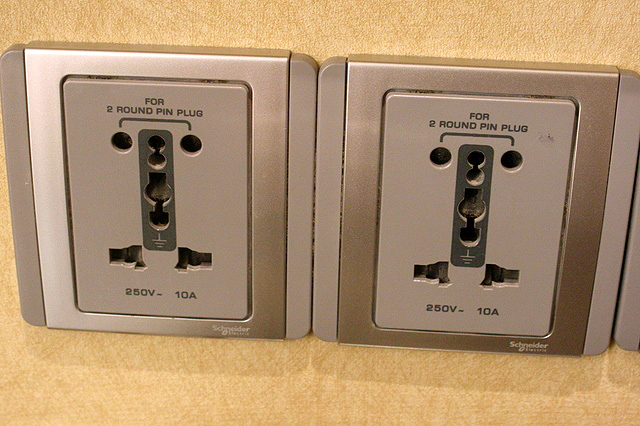 Oh, and over at the Remington Hotel, the electrical sockets are the American type two narrow pin type. 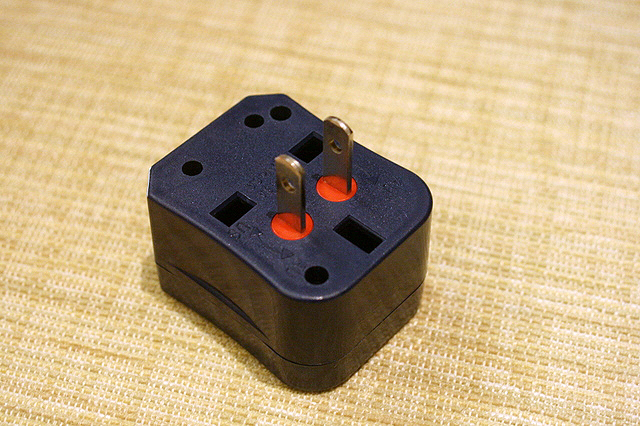 So you'll need a travel adaptor, like this one, which I borrowed from Alvin (thank goodness he is kiasu and brought two!). Voila! Multi-socket adaptors built right into the wall! No worries if you didn't bring any. This is something every hotel should have! 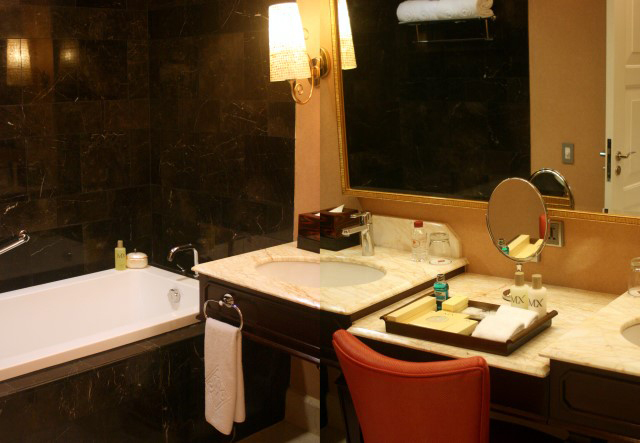 The bathroom is super spacious, with his and her washbasins and a centre vanity area. BATH SALTS!!! You can bet all of us indulged in this that evening! All your toiletry supplies and more. Even loofas! 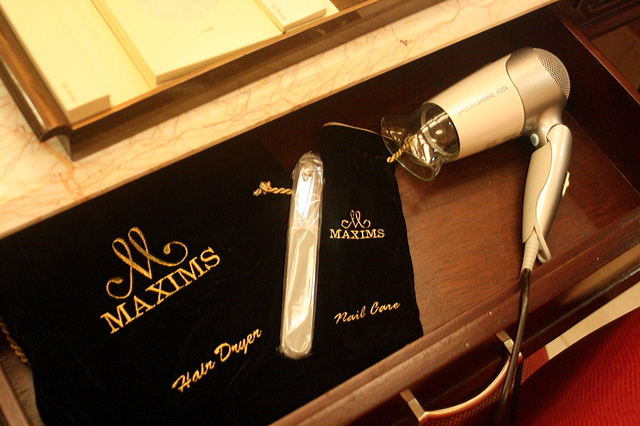 There is even a nail kit (with nail buffer and nail clipper), and hairdryer, all bundled in plush black velvet with gold embroidery. Even the trash bin is electronic. 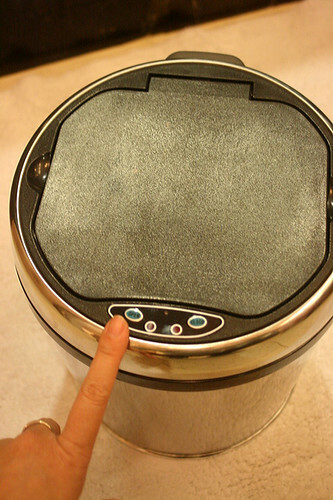 Press a button and the lid opens (or closes) automatically. OK, this is a bit too much, but I suppose good for those who don't fancy touching the lids with their hands. 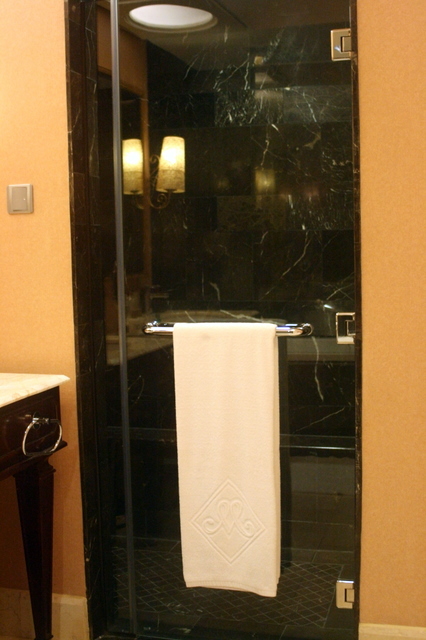 The shower stall is all decked in black marble. And I don't know if you can see it, but there is a sitting ledge on the opposite end. Great for those who prefer to sit while bathing! 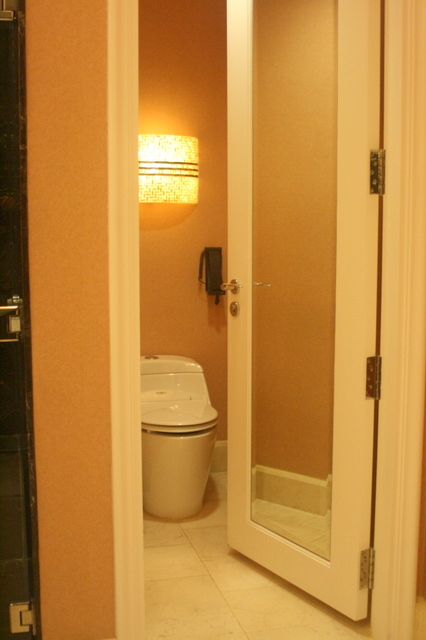 There is a separate mini-room for the toilet. It's a bidet as well, so you can jet-spray yourself clean. But don't try to test the spray without sitting on the thing. You will have a messy wet floor (and possibly self!). Yeah. What I like are the little touches they put. 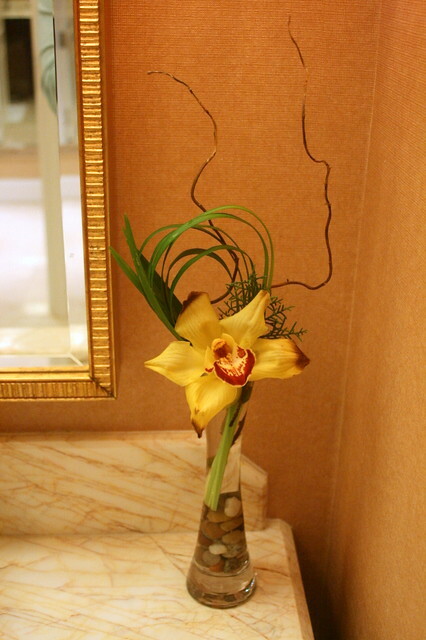 Even the little flower arrangement is lovely. Honestly, after checking in, I didn't want to leave the room. But we had sightseeing and shopping to do (those posts coming up). It's a different world from the Remington Hotel. 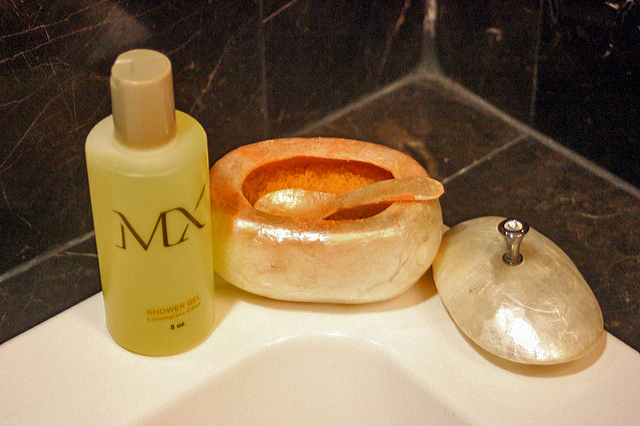 That one meets all the basic needs, but if you want some pampering, go for the Maxims. 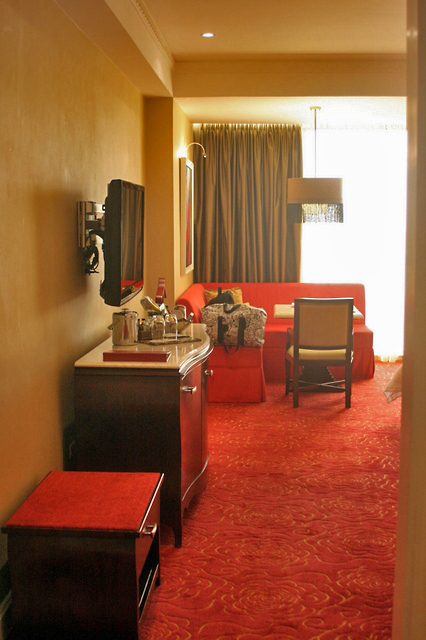 Right now, there is a promotion going on - the romantic Suite Escape at Maxims Hotel. For P14,800++ (about USD346++), enjoy a romantic dinner for two, an overnight stay at a Maxims Suite and a sumptuous breakfast. This offer is valid until February 29, 2012. Contact your local travel agent, or the hotel directly. 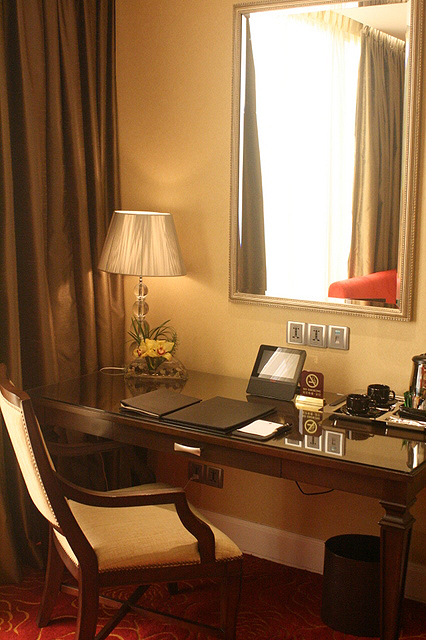 This suite looks stunning, don't you wish you could stay there forever! I know I would! Cebu Pacific going long haul in 2013!